Assured Performance is empowering their Certified shops by providing three services working in tandem: dataSAFE, dataMANAGER, and dataIQ. Through the use of the data toolset, the shop's data is safeguarded and managed exclusively by the shop; not a third party. The data toolset provides Certified shops with various data management benefits including shop performance analysis, KPI reporting and proof-of-purchase transactional reporting, but without exposing the shops confidential data. All the shop's data, including confidential consumer information, never leaves the possession and control of the originating shop. Therefore, customer data remains with the shop to be handled in accordance with all applicable state and federal laws and privacy acts. Further, there is no processing of the estimate lines and vehicle repair data unless the shop does so using the dataIQ tools provided and activates the automated reporting. Therefore, the shop always stays in control of their data. 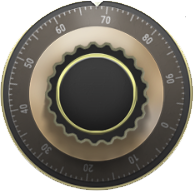 Assured Performance's data safeguarding services allow the participating Certified shop complete data ownership and control. They are able to measure their performance metrics in a variety of graphs, gauges and reports to effectively manage their business. Also, the shop can always elect to stop the services, export their data, and delete all residual data from their dataSAFE at any time. This ensures the shop has access and control over their data while allowing them to use it in various ways for their own advantage and benefit. Assured Performance leverages Amazon Web Services to provide the cloud data storage and safeguarding. The engine that powers the Assured Performance Data Management Suite for Certified repair facilities. Put the steering wheel back in your hands and drive your business to excellence by using dataMANAGER to harvest your valued estimate data. 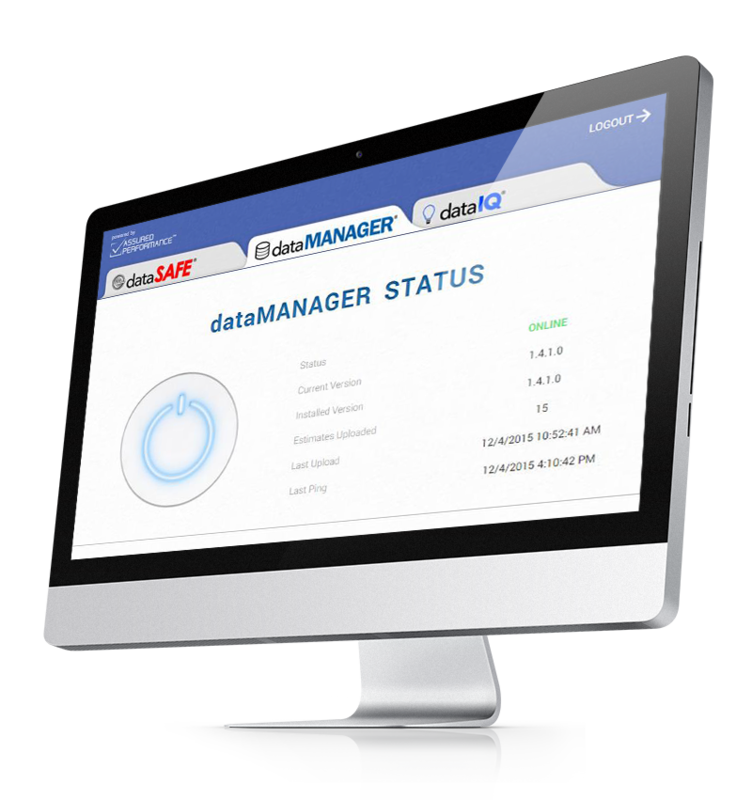 dataMANAGER is the quick and easy hands free tool that enables YOU to manage your estimate data - an exclusive benefit of Certification. As you export estimates, they are automatically copied to your data safety deposit box within your Amazon cloud account through Assured Performance. As if that weren't enough, dataMANAGER also gives YOU the ability to access critical tools through Assured Performance such as Parts Rebate Rewards, OE-QC Repair Compliance, APEX, dataIQ, and many more to come! As a Certified repair facility, you deserve a competitive edge. Put the Performance back in "Key Performance Indicators" with Assured Performance dataIQ. In today's data driven market, it is critical know exactly where your business stands. dataIQ is an elite tool EXCLUSIVELY for Certified repair facilities. Providing highly beneficial online KPIs that enable YOU to monitor your shop's performance based on your own data and not some data that may have been manipulated by others. These Key Performance Indicators driven by dataMANAGER will make it possible to expedite the growth of your business rapidly! Thank you for your interest in Assured Performance's various business improvement programs. These programs provide participating shops with the tools to develop an overall business capability aiming at exceeding the industry's leading levels of performance and success.